An open clinical study with patients suffering from trichotillomania, who received oral dronabinol (THC), was conducted at the Department of Psychiatry of the University of Minnesota in Minneapolis, USA. Trichotillomania is an impulse control disorder and characterized by the compulsive urge to pull out one's own hair leading to noticeable hair loss, distress, and social or functional impairment. It is often chronic and difficult to treat. Fourteen female subjects with a mean age of 33 years with trichotillomania were enrolled in the 12-week study. Doses ranged from 2.5-15 mg THC daily. The primary outcome measure was change from baseline to study endpoint on the so-called MGH-HP Scale, which measures the intensity of symptoms in trichotillomania. In order to evaluate effects on cognition, subjects underwent pre- and post-treatment assessments using objective computerized neurocognitive tests. Twelve of the 14 subjects completed the whole study. MGH-HPS scores decreased statistically significant from a mean of 16.5 at baseline to 8.7 at study endpoint. Nine (64.3 per cent) subjects responded to the treatment with a reduction of more than 35 per cent on the MGH-HPS and "much or very much improved" on a scale for the global impression. The mean effective dose was 11.6 mg per day. The medication was well-tolerated, with no significant deleterious effects on cognition. 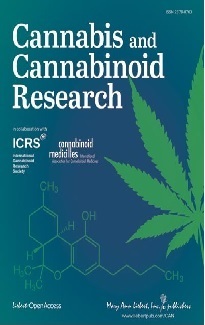 Authors concluded that "pharmacological modulation of the cannabinoid system may prove useful in controlling a range of compulsive behaviors." On 13 May Governor Jack Markell signed legislation authorizing cannabis growing, distribution and use for limited medical purposes making Delaware the 16th state of the USA to allow the medical use of cannabis. It is expected that qualified patients will be able to get cannabis within one year. The law initiates a one-year regulatory and licensing process for three not-for-profit dispensaries that will be authorized to sell cannabis to patients. 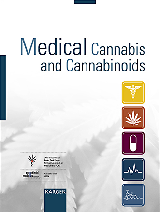 Under the new law, physicians could recommend cannabis for patients suffering from cancer, HIV/AIDS, multiple sclerosis, amyotrophic lateral sclerosis (ALS), Alzheimer’s disease and post-traumatic stress disorder. People with other chronic disease or debilitating medical conditions could qualify if other medicines or surgical procedures have failed to relieve their pain, reduced seizures, severe or persistent muscle spasms and nausea. Physicians and patients would have to have a “bona fide physician-patient relationship” and other medical treatments would have to be exhausted before cannabis is recommended, according to the legislation. Qualified patients who get a doctor's recommendation and a state-issued identification card will be able to purchase up to 6 ounces (about 170 grams) of cannabis at one of the dispensaries.